And so begins one of the most iconic chants in football. A chant for a cult hero who was renowned for his hard work, tenacity, honesty, and graciousness. A chant for a player who left everything on the pitch. It covers the challenges of dealing with fans’ expectations, a long-term chronic injury that threatened to end his career, and how he dealt with the intrigue and machinations of football management. Bob worked hard, gave his all, played wherever he was asked without complaint, wore every shirt (apart from the goalkeeper’s), and was rewarded by playing or coaching in all four divisions of the Football League. Indeed, in a rollercoaster career that spanned almost five decades, Bob was a crucial part of teams – as either a player or coach – that celebrated six promotions and suffered three relegations. Perhaps most importantly, nobody who has ever met Bob has a bad word to say about him. He is still revered at all three clubs he was associated with and remains a particular hero at Sheffield United. With contributions from former teammates, managers, and friends, the real Bob Booker is revealed in all his complexities. It is the kind, friendly, and humorous Bob that we all expected to find but also one who demonstrated grit, determination, courage, inner strength, guile and perseverance to forge such a long and successful career for himself. “From fans’ hero to unsung hero, Bob Booker’s career in football has been fascinating. 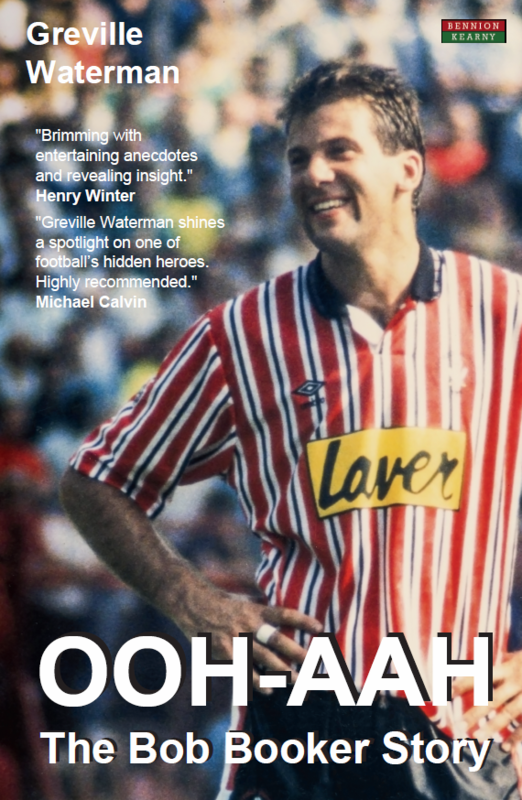 Book Categories: Biography, Brentford FC, Greville Waterman, Soccer and Soccer Biography.